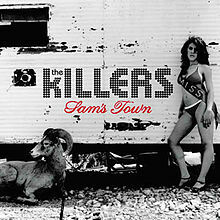 Sam’s Town is the second studio album by American rock band The Killers, released on October 2, 2006 in the United Kingdom and the following day in the United States. Regarding the album, vocalist and primary lyricist Brandon Flowers noted that he “wanted to create an album that captured, chronologically, everything important that got me to where I am today”. Sam’s Town is estimated to have sold over 4 million copies worldwide to date.